Cong. Smith, co-chair of the House Lyme Disease Caucus, co-hosted a kick-off of Lyme Disease Awareness Month with the Lyme Disease Assn. and the University of Medicine and Dentistry of New Jersey, and local officials. Pat Smith, President of the Lyme Disease Assn., discusses the long fight to advocate for Lyme disease victims. Three common ticks: from top, the black legged or "deer" tick, the American dog tick and the lone star tick. The notches at bottom indicate one full inch in length. The House of Representatives is expected today to pass the 21st Century Cures Act, bipartisan legislation negotiated with the Senate to reform and streamline the federal research and treatment approval process, incentivize the development of live-saving cures, and bring many other needed improvements to the delivery of health care in the US. Among its many specific provisions, the bill includes significant reforms to our fractured mental health systems, and major provisions to help patients with Lyme disease by establishing a national, patient-centric working group championed by U.S. Rep. Chris Smith (NJ-04) and others for many years. Speaking during the debate in the House of Representatives today, Smith reminded his colleagues that as far back as 1992 he brought together medical officials at NIH and CDC with Lyme Disease Association President Pat Smith and other advocates from New Jersey who highlighted the alarming increasing prevalence of Lyme. Smith later introduced the first bill to bring patients and their advocates into the process—as well as doctors, researchers and on-the-ground officials from state and county health organizations—by creating an interagency Task Force. 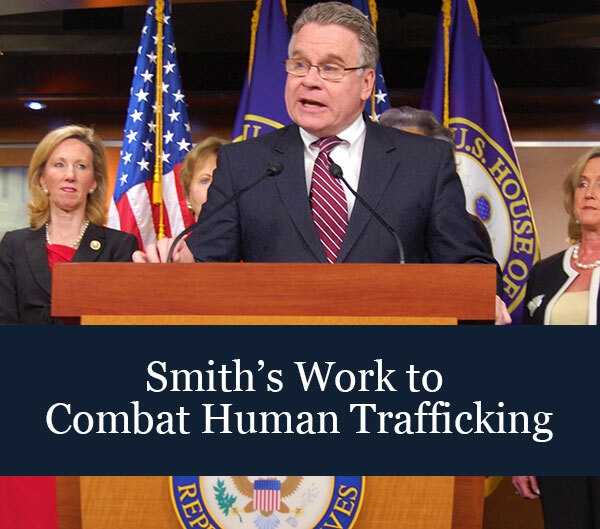 “My original legislation ensured the individuals impacted by federal policies would have a seat at the table when the decisions are made,” said Smith. “It has taken many years, and several drafts but thankfully today’s Cures package includes similar language that will begin the process of addressing the great unmet needs in the Lyme community in an open and transparent manner. Specifically, the Cures package will create a Working Group comprised of federal and non-federal members tasked with reporting to Congress on scientific advances, research questions, surveillance activities and emerging strains in species of pathogenic organisms. The members must also represent a “diversity of views,” bringing hope to American’s suffering from chronic Lyme, Smith noted. “Many have suffered for decades with this debilitating disease, only to be told that their illness does not exist. Enactment of the Cures package will move us one step closer to acknowledging and addressing the root problems of chronic Lyme,” he said. The CDC estimates that there were over 380,000 cases of Lyme disease in the US last year, with more than 48,000 cases in New Jersey, which consistently ranks among the top five hardest hit states. It is estimated that one in five Americans has experienced a mental health issue, but only 44 percent of adults with diagnosable mental health problems and less than 20 percent of children and adolescents receive needed treatment. Of the estimated 10 million Americans living with serious mental illnesses, including schizophrenia, bipolar disorder or major depression, almost 70 percent remain untreated. The overall Cures package, which now moves to the Senate for consideration, will boost funding for biomedical research at the National Institutes of Health (NIH), promote interagency data collection and sharing, and reform the Food and Drug Administration (FDA) to bring new therapies and treatments to market sooner. It is designed to accelerate the full cycle of discovery, development and delivery of new treatments and cures for patients in need. Provide $1 billion to fund the recently-enacted Comprehensive Addiction and Recovery Act and improve our opioid abuse response.